If you look up ‘bloom’ in the dictionary, ‘flourish’ and ‘thrive’ are some of the first definitions you will find. So naturally, Bloom serves as an appropriate title for Troye Sivan’s second studio album, whose career is doing both. As the LGBTQ community fan favorite prepares for his new release, buzz surrounding the record is high. Following an initial shout out by his gal pal Taylor Swift, Sivan himself made the official announcement of his soon-to-be released album via Twitter. Oh and that striking album cover? It was shot by none other than Hedi Slimane. The singer-turned-fashion icon might have friends in high places, but he’s still remaining grounded. Sivan takes pride on connecting to his fans on a personal level, and just announced he’s hitting the road to see fans nationwide on a 27-stop tour, in support of Bloom. ?THE BLOOM TOUR ? PRE-SALE TICKETS TO MY US TOUR GO ON SALE ON JUNE 5TH IN MY APP. AAAND EVERY TICKET ALSO COMES WITH A PHYSICAL BLOOM ALBUM. GO OFF! 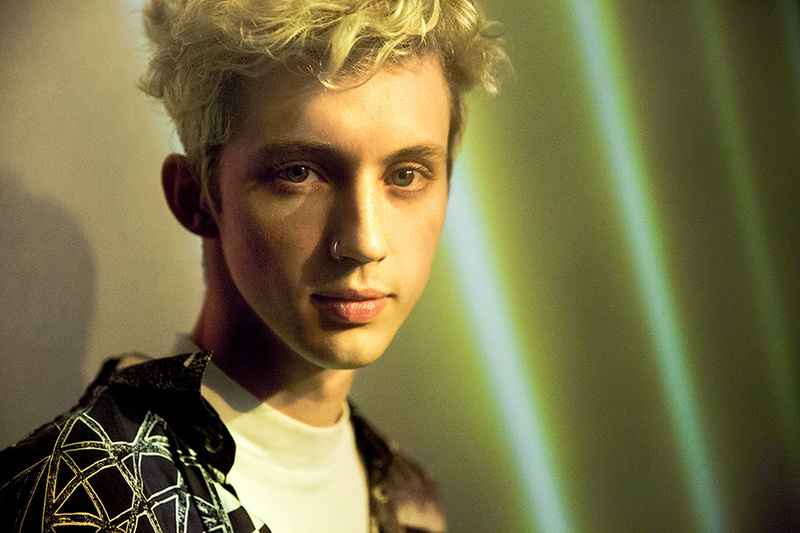 “I really want to portray a happy, carefree, LGBTQ person, because I think that’s something I missed out on seeing when I was a kid,” Sivan told us at Music Choice. “I think right now, I’m trying to bring lightness to world,” he adds. Hear more about what Sivan has to say about his forthcoming album in his episode of Primed, below.